BifBangPow! 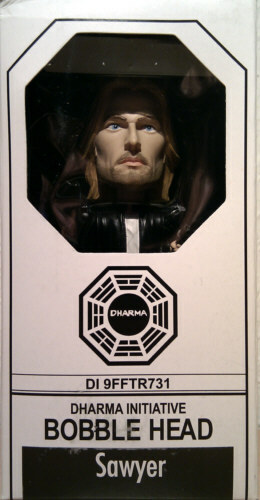 released 12 LOST Bobble Heads, some of them are San Diego Comic Con exclusives. 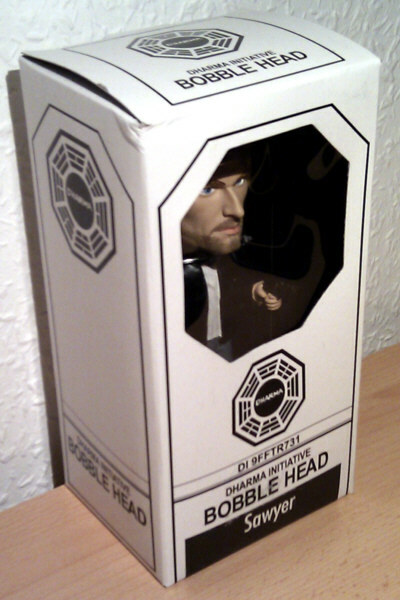 Each Bobble Head (except of one) stands 7 inch tall and comes in a Dharma Initiative style window box. 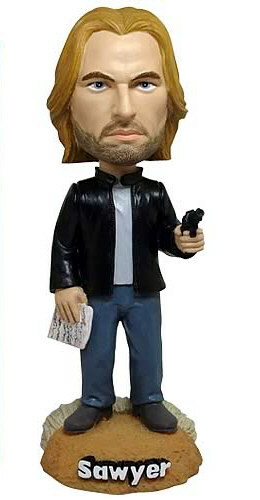 The Sawyer Bobble Head was released in Summer 2011. He holds a gun and the letter he wrote as a child to Mr. Sawyer.